Scientists in various fields adopt statistical methods to determine relationships between events and assess the strength of such links. Security professionals performing risk assessments are also interested in determining what events are causing the most impact. When analysing historical data, however, they should remember that correlation doesn’t always imply causation. When patterns of events look similar, it may lead you to believe that one event causes the other. But as demonstrated by the chart above, it is highly unlikely that seeing Nicolas Cage on TV causes people to jump into the pool (although it may in some cases). This and other spurious correlations can be found on this website, with an option to create your own. How many of these losses could’ve been identified and managed appropriately? Risk Management plans may actually increase risk. 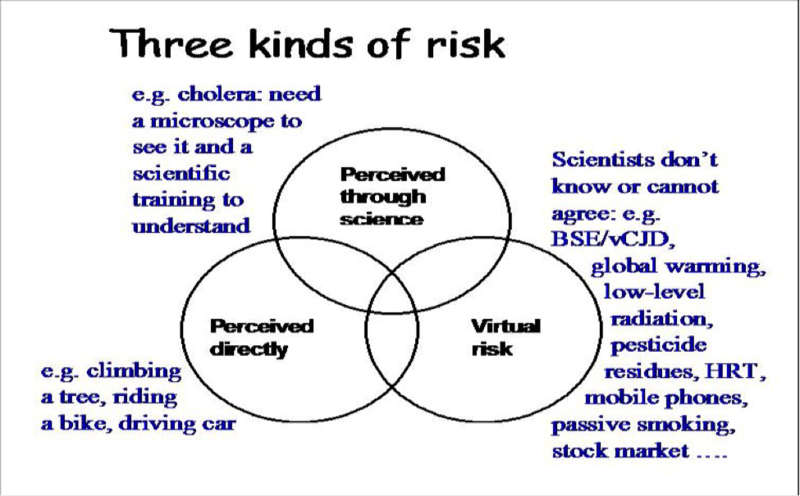 The main idea behind it is that people vary in their propensity to take risks which is influenced by the perception of risk, experience of losses, and potential rewards. People tend to overestimate spectacular but rare risks, but downplay common risks. Also, personified risks are perceived to be greater than anonymous risks. The protection measures also can be introduced to only increase perceived security, rather than implement actual mechanisms. A possible example might be using National Guard in airports after 9/11 to provide re-assurance. However, such a security theatre has other applications in relation to motivation, deception and economics. 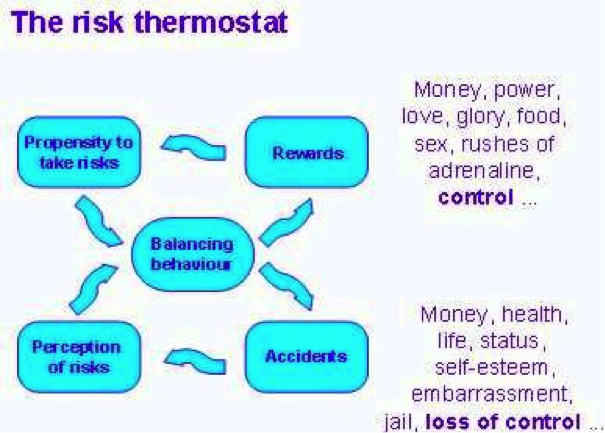 Finally, Adams discusses the phenomenon of risk compensation and appropriate adjustments which take place in the risk thermostat. He argues that introducing safety measures changes behavior: for example, seat belts can save a life in a crash, so people buckle up and take more risks when driving, leading to an increased number of accidents. As a result, the overall number of deaths remains unchanged.